Wearing a bubblegum colored zip-up jacket, a black polo with a small McDonald’s logo and the matching visor in hand, Keiarra Travis frequently glances down West Vienna Avenue looking for her ride to work. This neighborhood, a neat triangle situated between MLK Drive, Port Washington Road and Capitol Drive, has been the only home she’s ever known. Keiarra was born in Chicago, but when she and her sister were six months old, her mother left them in their grandma’s care. 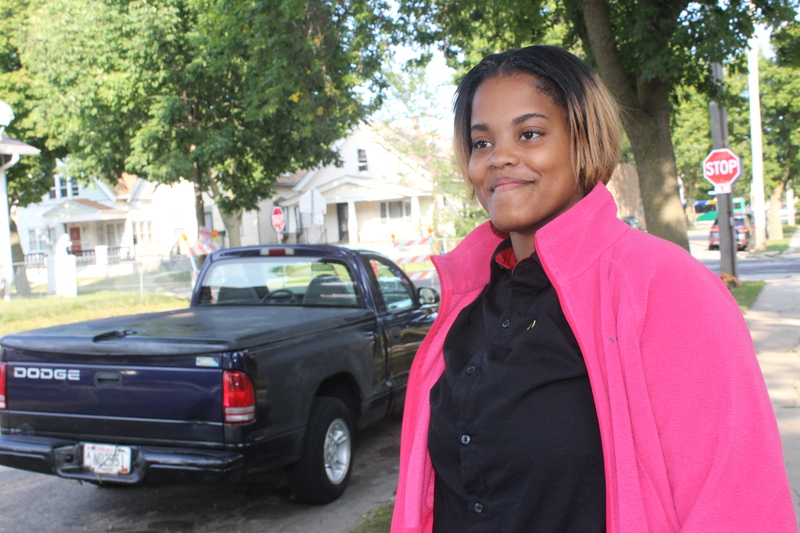 When Keiarra was 12, her mother returned to Milwaukee to reunite with her daughters. They all eventually moved in together down the street from her grandma’s old house. “I tell her everything, boyfriend problems and all that,” she smiles. “It’s not like I grew up hating her, because I knew of her situation. Travis, 17, who attends Vincent High School, is saving money for a car and making a decent living for herself and her family. She doesn’t want much more than that.